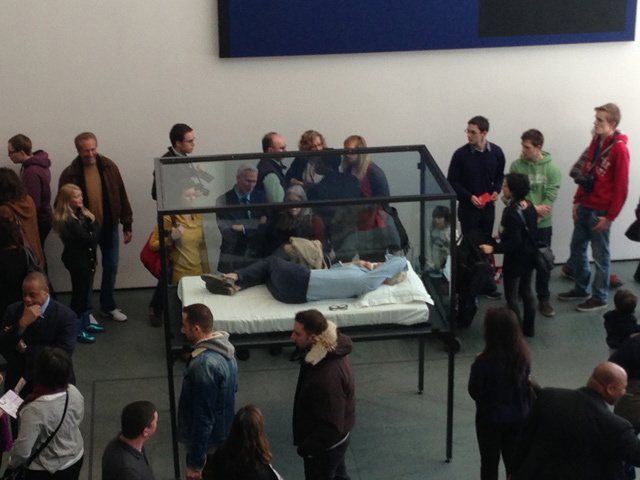 Visitors at the MoMA today will be surprised to see Tilda Swinton taking a nap inside a glass box. 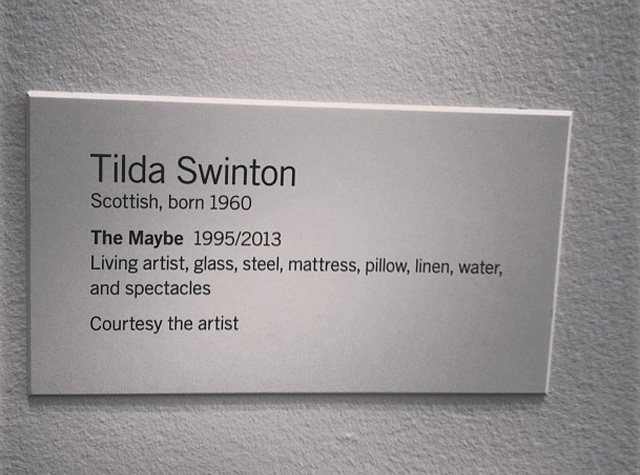 It’s part of the Maybe installation that Tilda has been performing in Museums since 1995. 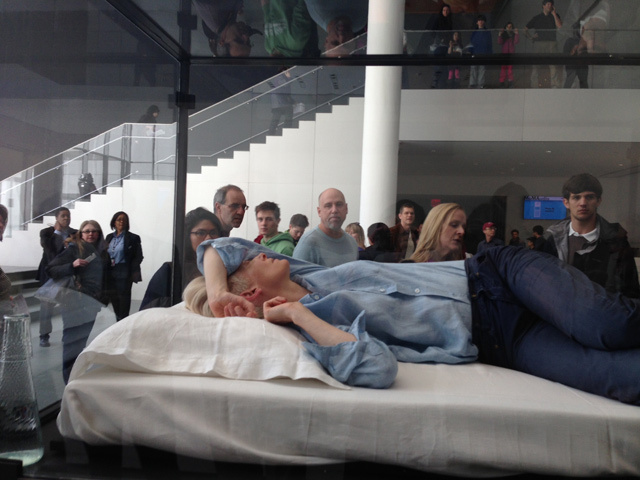 Tilda just shows up and takes a nap – nobody knows when or where inside the museum, not even MoMA staff. So, if you’re around check it out now! An integral part of The Maybe’s incarnation at MoMA in 2013 is that there is no published schedule for its appearance, no artist’s statement released, no museum statement beyond this brief context, no public profile or image issued. Those who find it chance upon it for themselves, live and in real—shared—time: now we see it, now we don’t. You are currently reading Tilda sleeping at it's a small web.